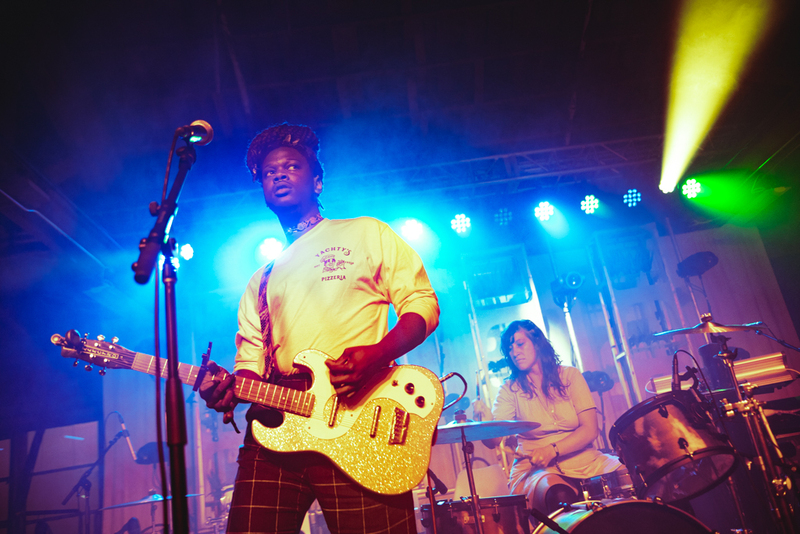 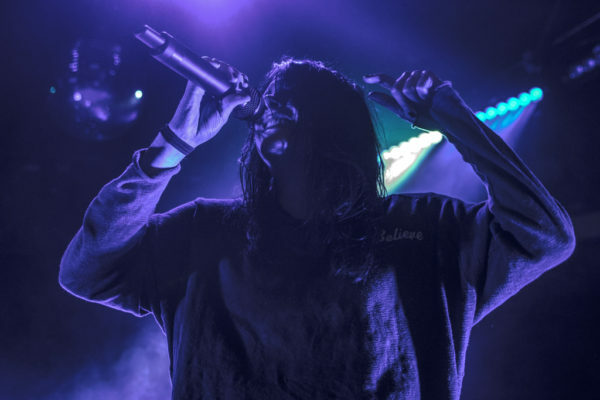 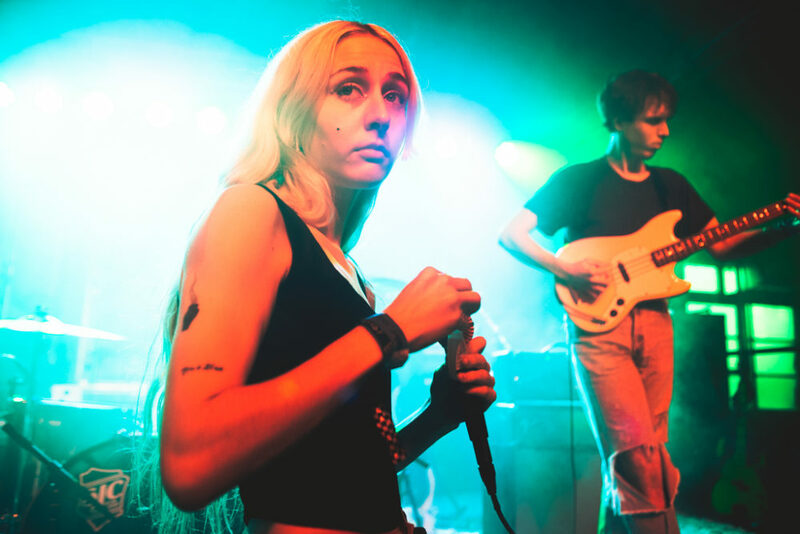 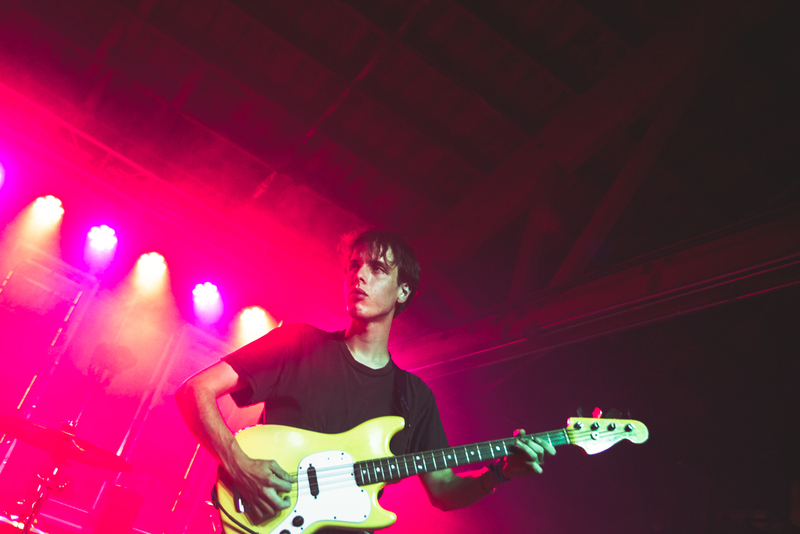 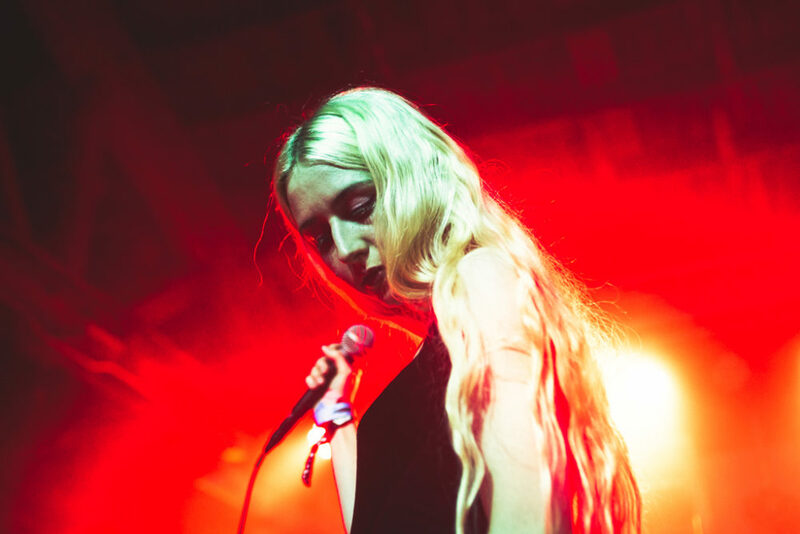 On a short, but much needed jaunt away from NYC, I found myself face to face with a line that stretched clear down the street and around the corner at House of Vans on Friday evening in Chicago in anticipation of the stacked bill of True Blue, Shamir and Unknown Mortal Orchestra. 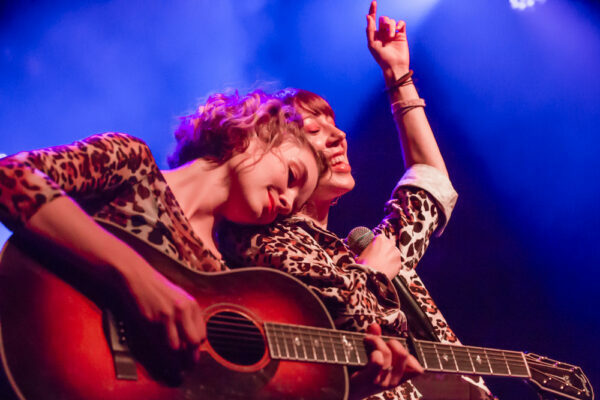 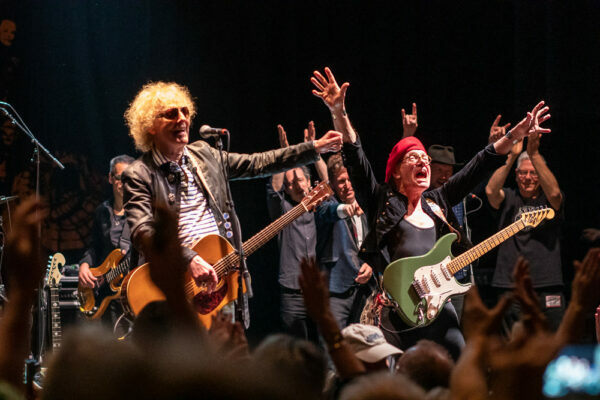 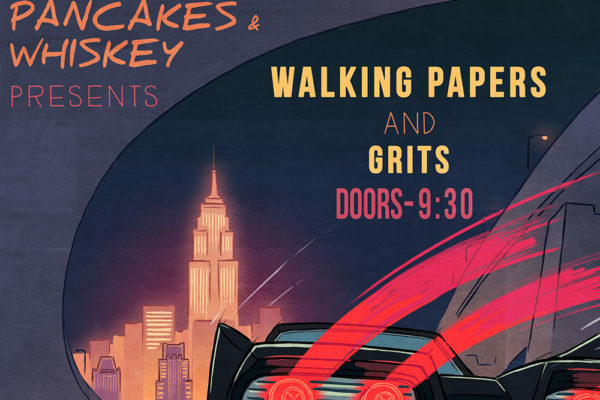 As fans poured through the doors, snapping up free t-shirt & posters, and grabbing drinks filled to the brim before bombarding the barricade, I buckled in for a night of music that would leave me grinning from ear to ear. 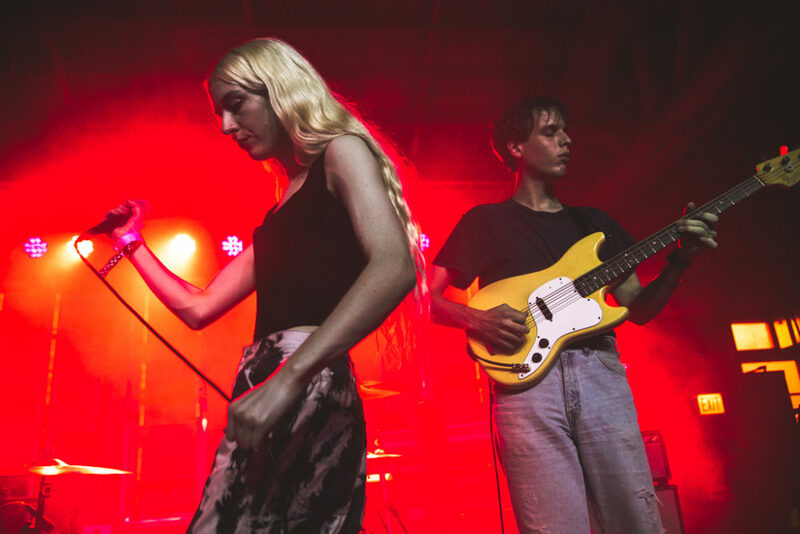 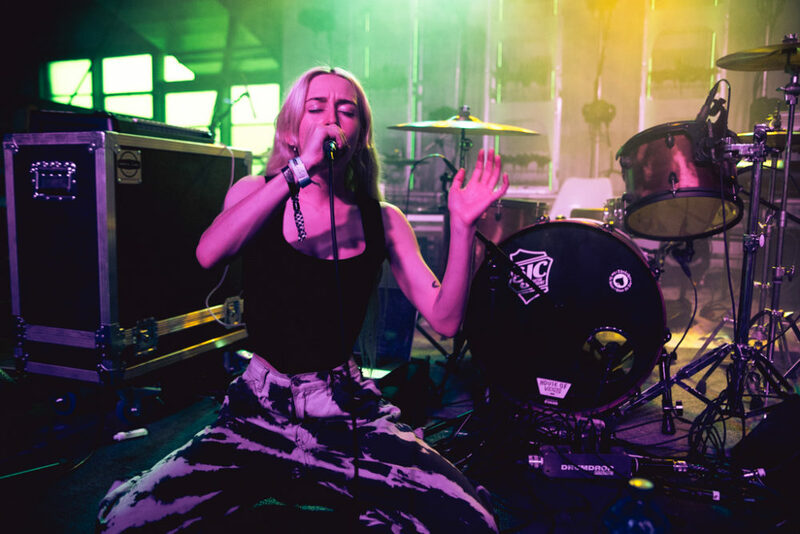 Starting things off, True Blue, the solo project of Maya Laner, who you might also recognize as the bassist in Porches, wooed the crowd with her dreamy synth-pop sound and ethereal vocals. 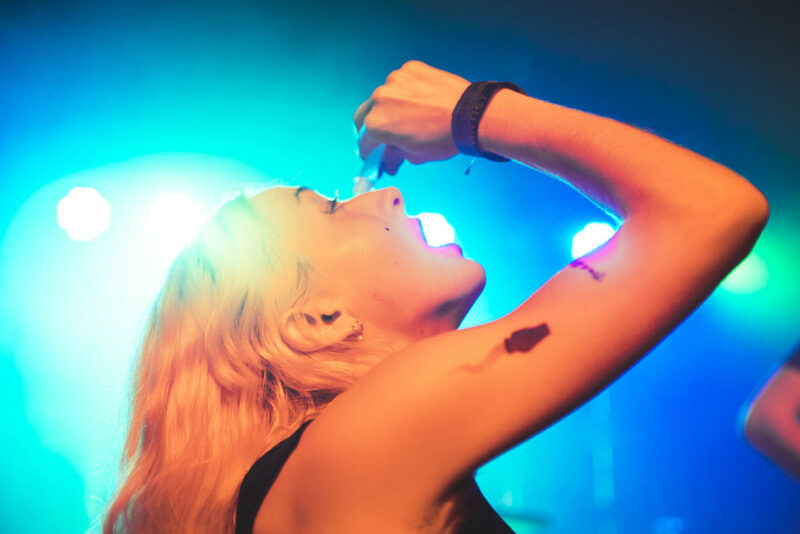 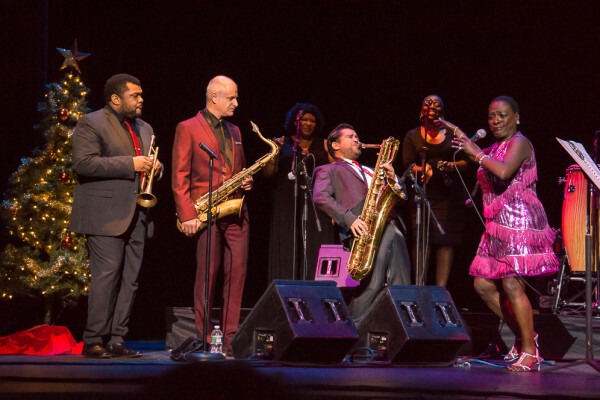 Maya played to the crowd, overcoming a few technical issues with dry humor, a two-step and even a bout of fake tears thanks to some artfully applied eye drops. 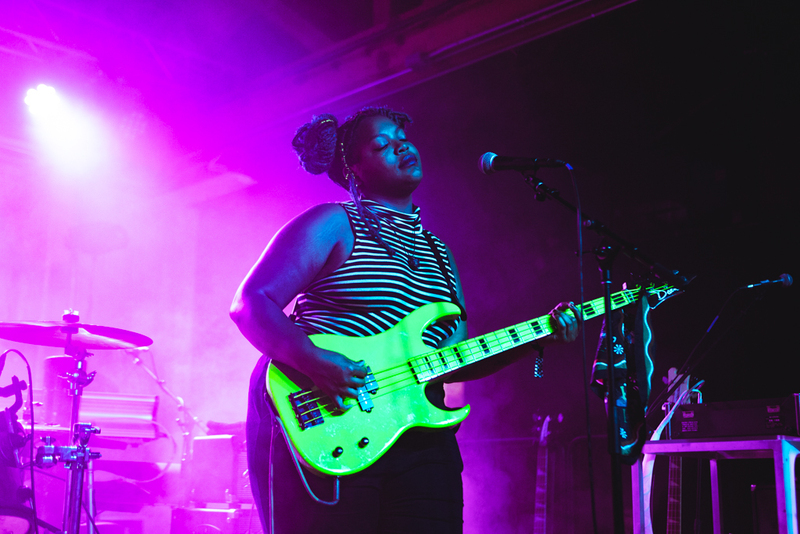 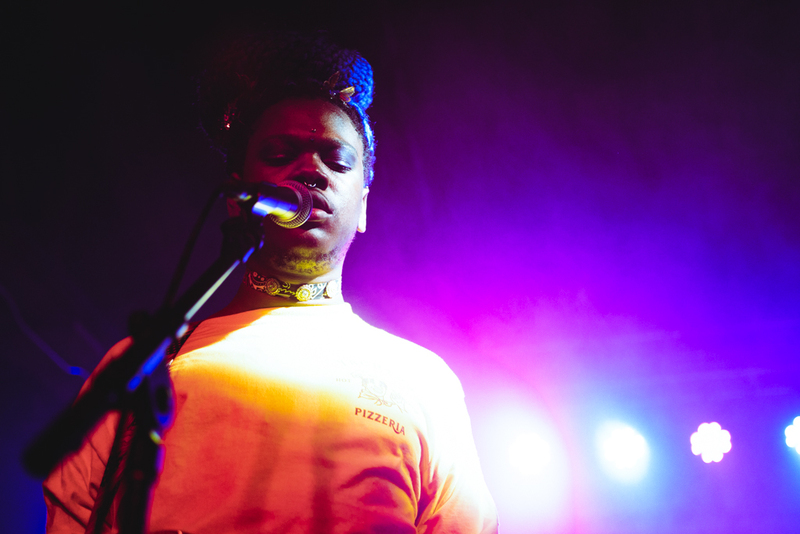 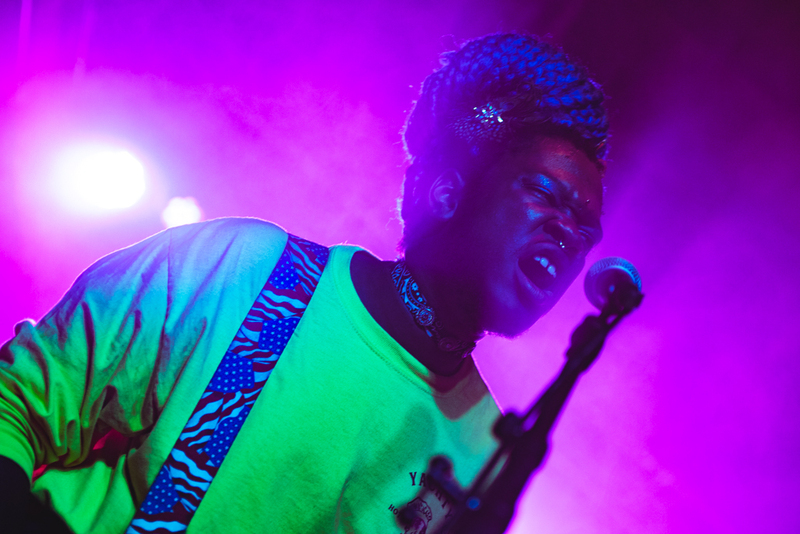 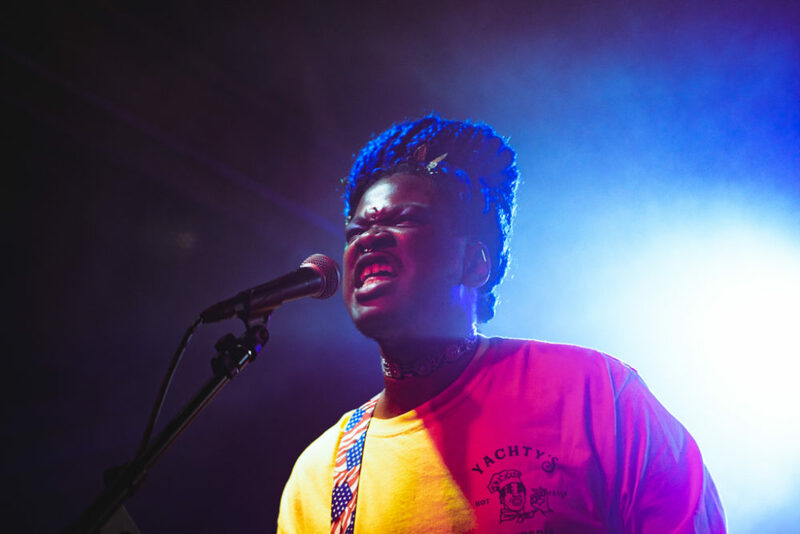 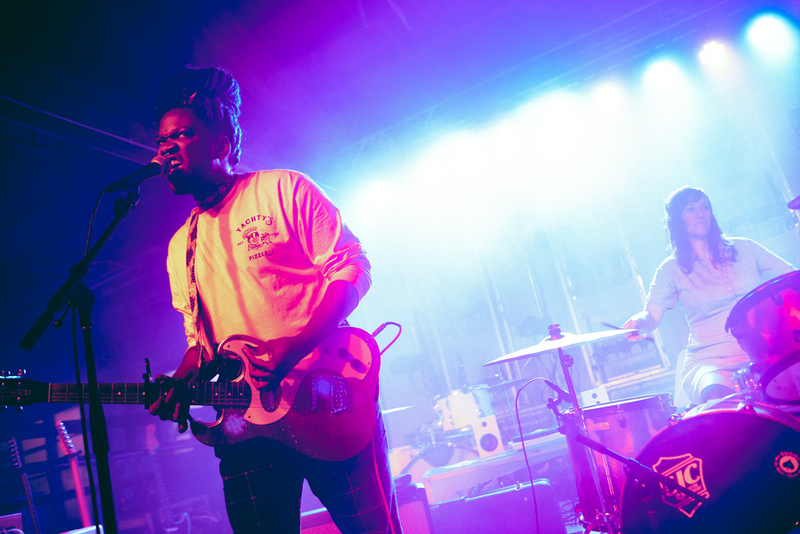 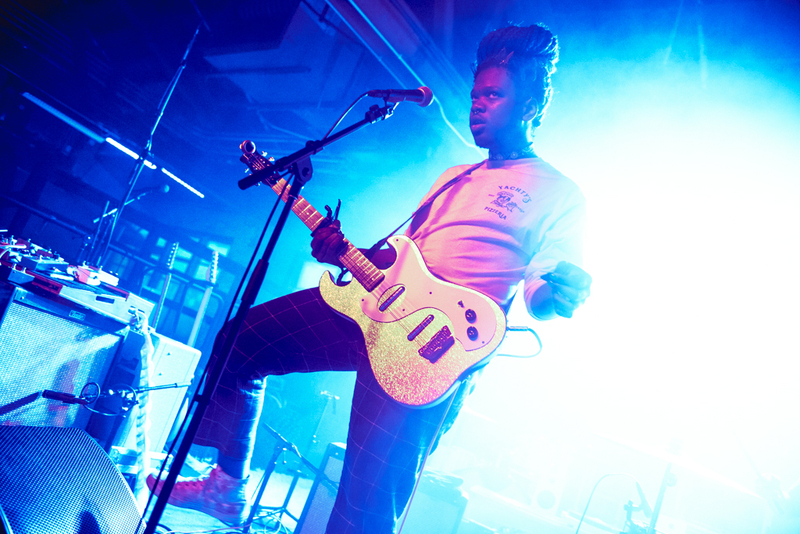 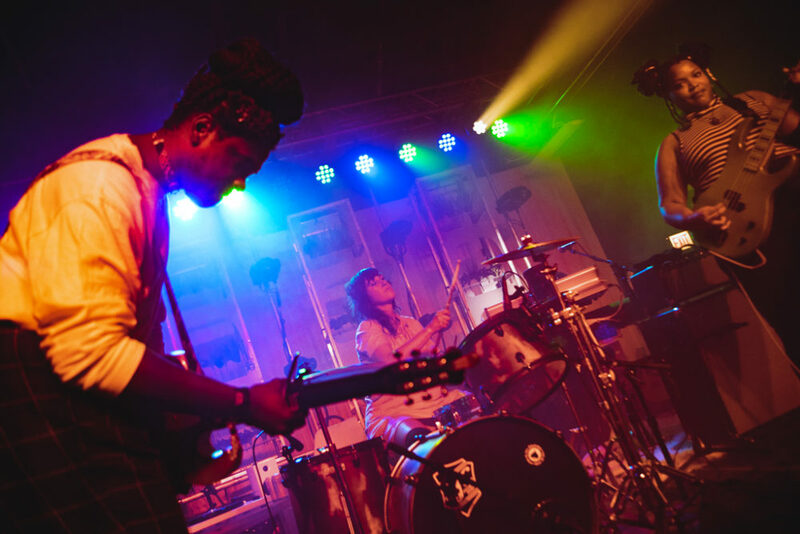 Second on the bill, Shamir armed with a guitar, a donning bright blue braids unleashed a powerful performance with the help of two of the most badass women on bass and drums I’ve seen in a minute. 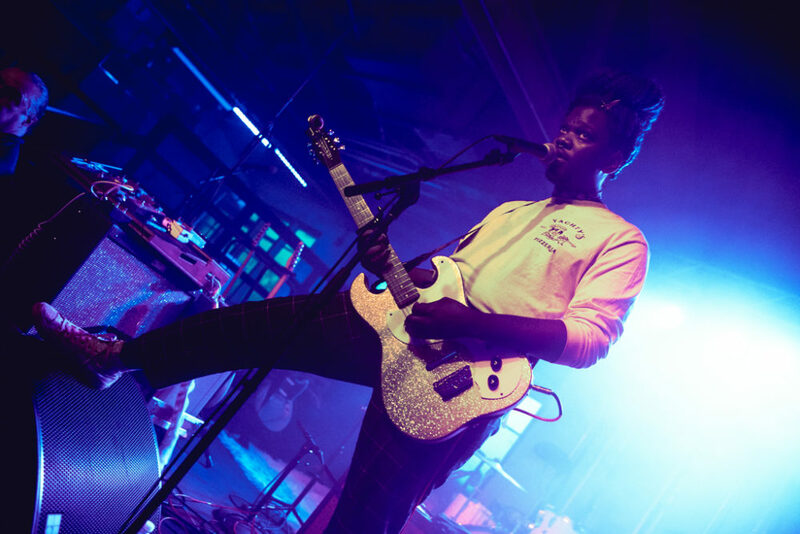 Shamir, charismatic, expressive and engaging, delivered a shockingly gritty performance, wailing on guitar, shrieking and wailing at points. 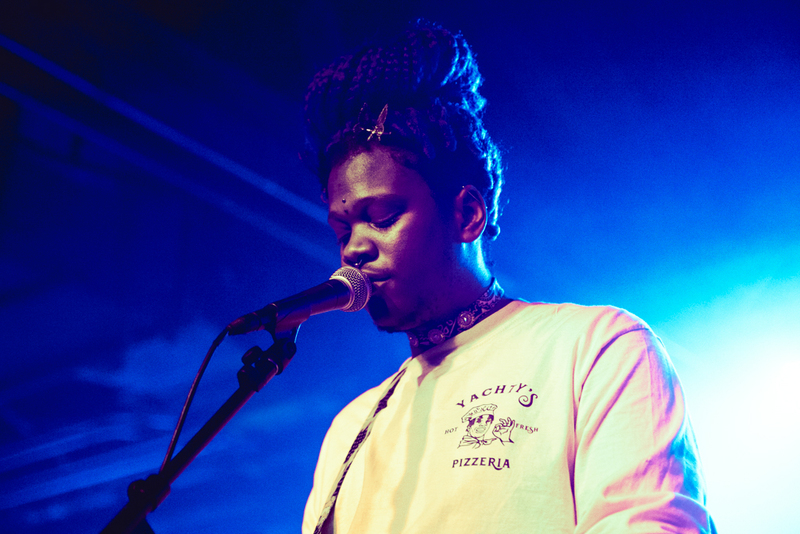 Judging from the applause the crowd loved this version of Shamir. 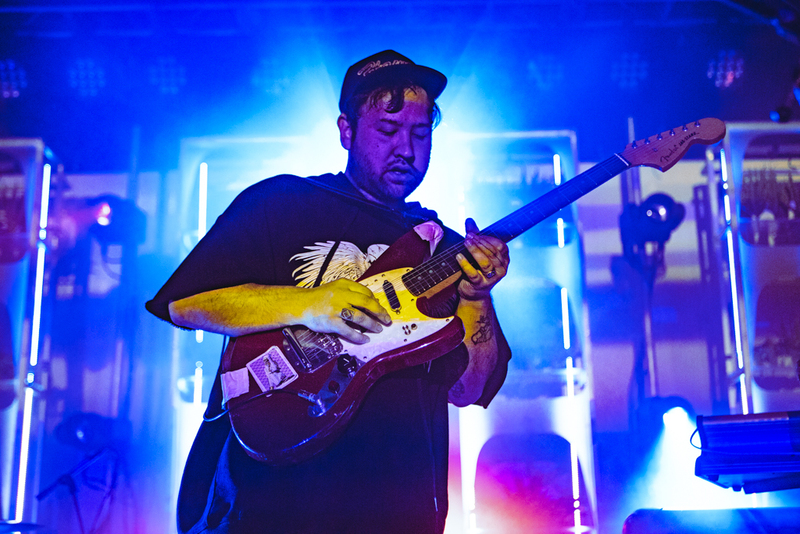 Capping off the night, Unknown Mortal Orchestra delivered a set that left us sweaty from dancing entirely too hard from the barricade to the back of the VIP section upstairs. 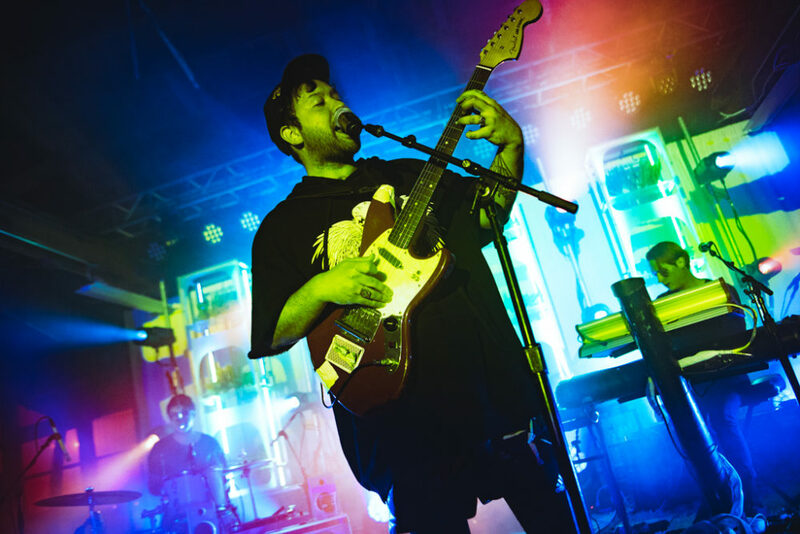 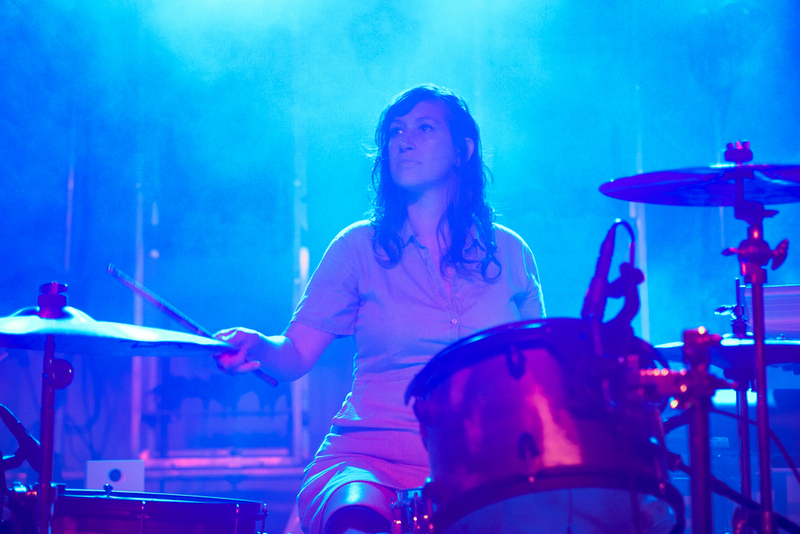 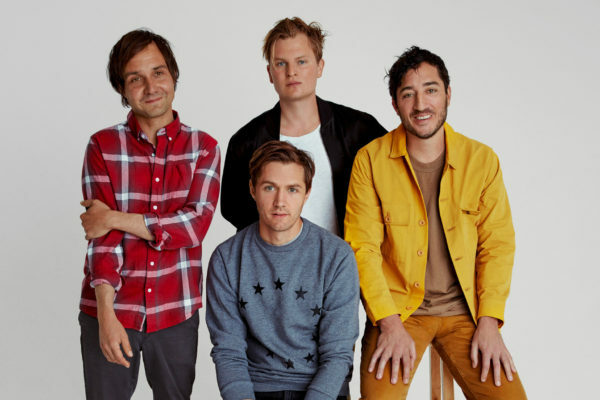 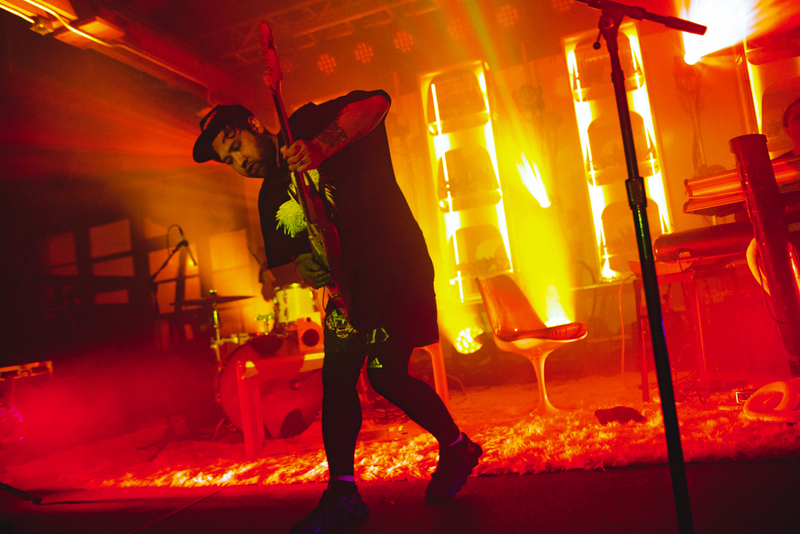 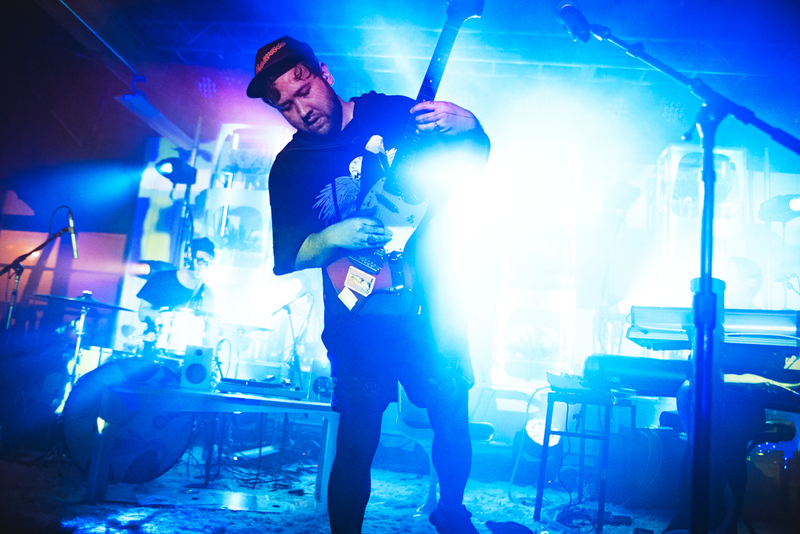 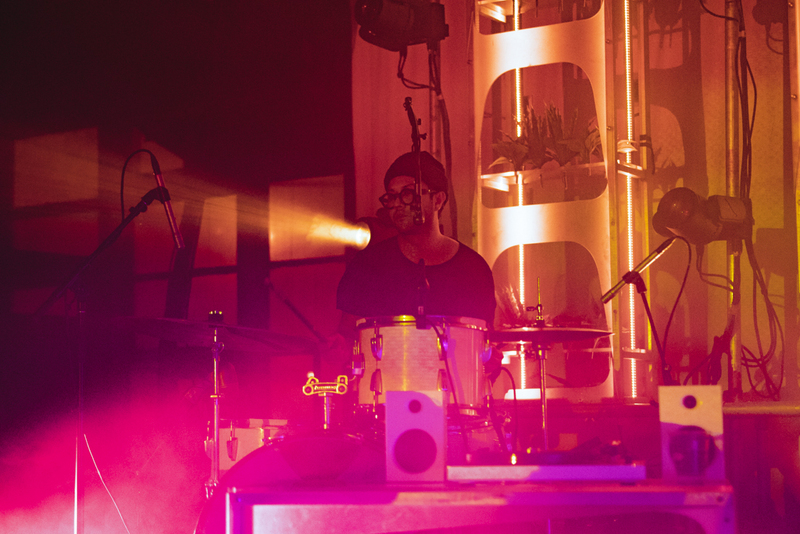 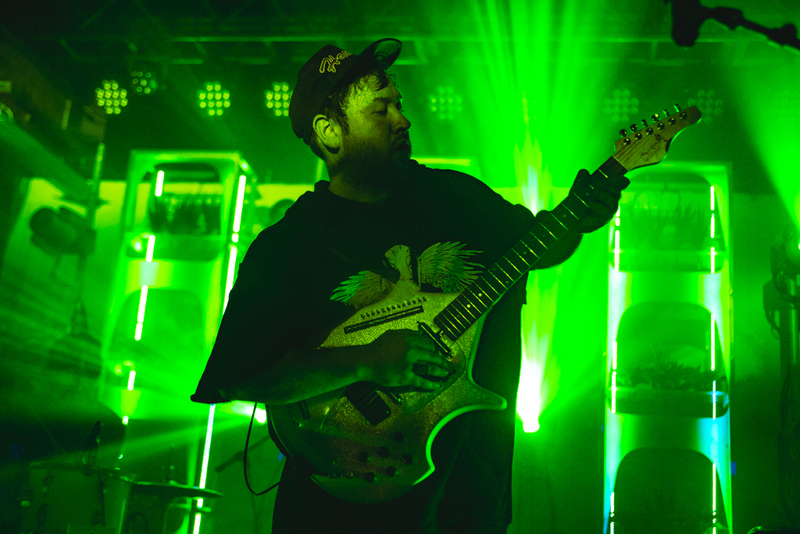 The lightning, wildly neon and unpredictable cast Ruban Nielson in all too familiar light perfect for the band’s psychedelic sound. 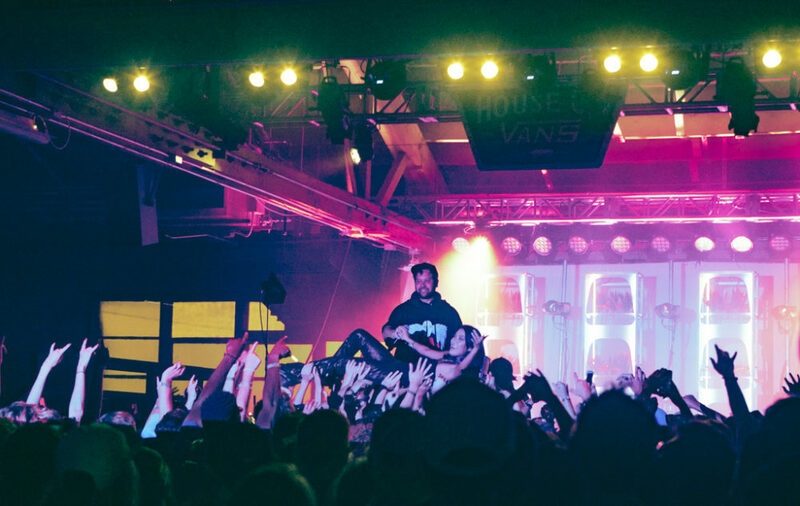 Favorites like “Ffunny Ffriends,” “Multi Love,” “Necessary Evil,” “So Good at Being In Trouble,” and Can’t Keep Checking My Phone” all found a home in the band’s dynamic set list, and by the time the show was nearing the end, Nielson found himself hoisted above the crowd halfway to the back of the room, face to face with a wayward crowd surfer that made for a humorous, yet endearing moment as the duo posed for a quick photo. 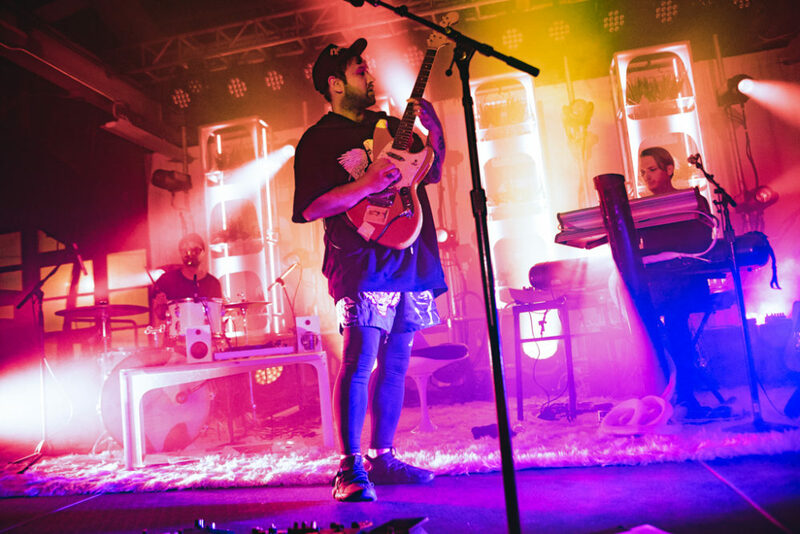 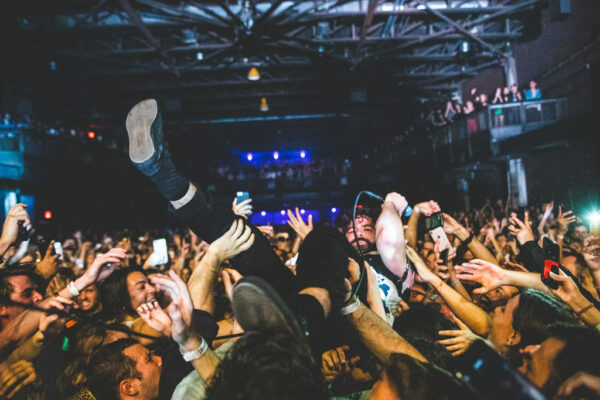 By the end of the set, people reluctantly made their way to the exit, but not before grabbing “UMO” posters of various sizes on their way out to remember such a perfect night of music.